Canadian rising star Felix Auger-Aliassime upset 2016 Rio Open champion Pablo Cuevas and paved his way to became, at 18 years 6 months and 16 days, the youngest player to reach an ATP 500 final. This Sunday in Rio, at 5pm, at Court Guga Kuerten, the Canadian will take on another finalist first-timer: Serbian Laslo Djere, 23. One of the most celebrated players of the ATP NexGen, Auger-Aliassime needed two hours to score 6/3, 3/6 and 6/3 and defeat the experienced Uruguayan, who saved three match points. “It feels great, the match was pretty tough, pretty complete today, I felt good from the start and thought I could have a shot to win. I was feeling my shots well and serving well too. But then he came back strong at the second set and I felt a lot of pressure from him. And then in the third set I came back strong again, I was able to break him early and then hold my serve. It was tough to finish when you’re so close to the line but I managed to stay calm and got the job done”, said the Canadian. This Saturday’s win crowned an excellent week for Auger-Aliassime in Rio. The Canadian started by beating a Top 20 for the second time in his career: Fabio Fognini in the first round (previously he had already defeated Lucas Pouille). Then he took on Chilean Christian Garin and NextGen and Rafael Nadal’s pupil Jaume Munar before stunning Cuevas. “I felt the effect’s of yesterday’s long match [against Albert Ramos-Vinola], I was a bit slower and with low energy. Felix is an aggressive player who took advantage of that. He served really well, he played well and deserved the win. He is very talented and I’m sure he’s got a bright future ahead”, said Cuevas, 33. Auger-Aliassime received a wild card to play in Rio this year because of his impressive performance recently. He already has four Challenger tour titles and had a fantastic performance in the Canadian victory against Slovakia at the Davis Cup, guaranteeing the qualification of his country to the finals. With the win over Cuevas he became the youngest ATP 500 finalist since the level was established, in 2009 _previous record holder was Alexander Zverev, who made it to the final in Halle in 2016 at 19 years and 2 months. And since the Canadian started playing in Rio he became a crowd favorite. As for the match this Sunday, Auger-Aliassime expects nothing less than a battle. 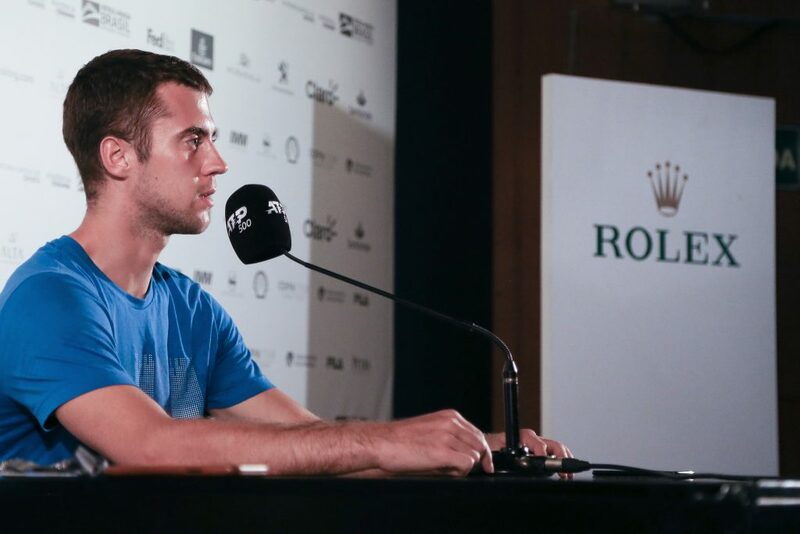 Laslo Djere earned a spot at his first ever ATP Tour final earlier this Saturday after his opponent, Aljaz Bedene, withdrew from the semifinals with an injured right leg. Despite not having to play this Saturday, 23-year old Djere had an impressive week at the Rio Open. The Serbian got his first-ever Top 10 win over number one seed and 2017 champion Dominic Thiem in the first round, his first ever match in Rio. After that he beat Taro Daniel from Japan and NexGen Casper Ruud in his way to his fourth career ATP Tour semi-final. As for his rival this Sunday, it will be the first time they play each other. “Felix is a young and very talented player. I watched him a few times, he’s been playing really well, has a big serve, big forehead. But I think I’m ready and prepared and I’ll do my best. Hopefully I can win my first final here in Rio”, said the Serbian, who began playing tennis at 5 to follow his now late dad.